This is great Sandy! I was at a local park the other day and saw two people with LONG lenses, like 600mm. It turned out to be my friend and his girl and they set up to photograph squirrels on a table baited with nuts. I had to leave but it was overkill to say the least. Thanks, Mike. Yikes, sounds like a lot of work. I love that photo. I am amazed at the length of the tail compared to the rest of the body. Here in Australia I believe that there are no squirels, we do have possums . I can remeber seeing squirels in New York. Yes, long thick tails. Thanks for commenting, Ally. You’re welcome. I am always keen to learn especially when it is to do with nature. That is just TOO Hilarious!!! HaHa! Love this little face giving you that all knowing look. 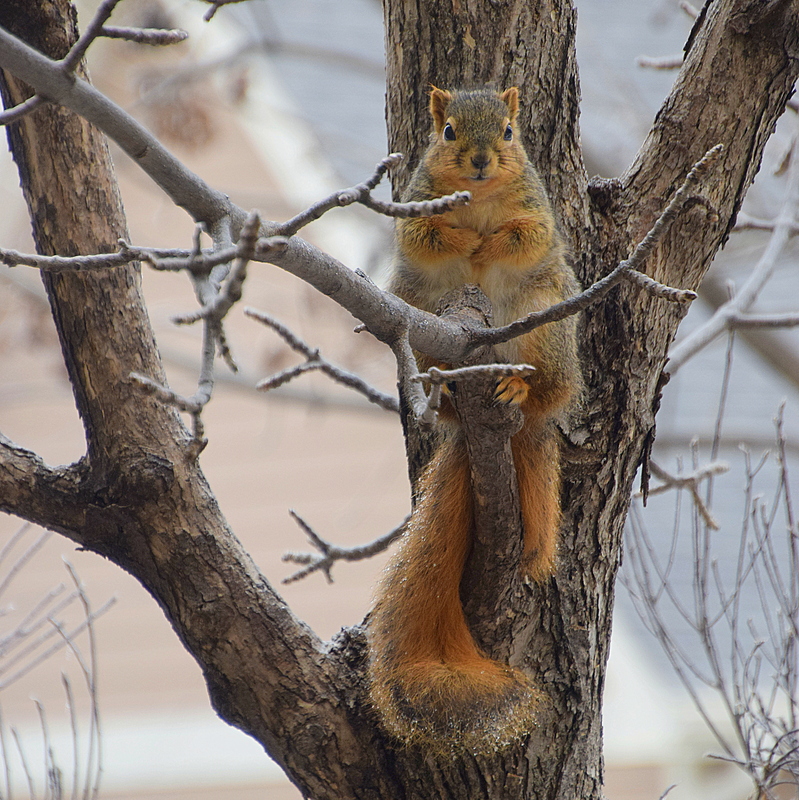 Yes, waiting for me to retreat so he can invade the bird feeders! Thanks. I had a fun subject! Thanks. Squirrels are entertaining subjects! It almost looks like his arms are crossed… great photo! Glad you enjoyed my critter shot.